I had 4 egg yolks leftover from another recipe and I looked into what I can use them in. 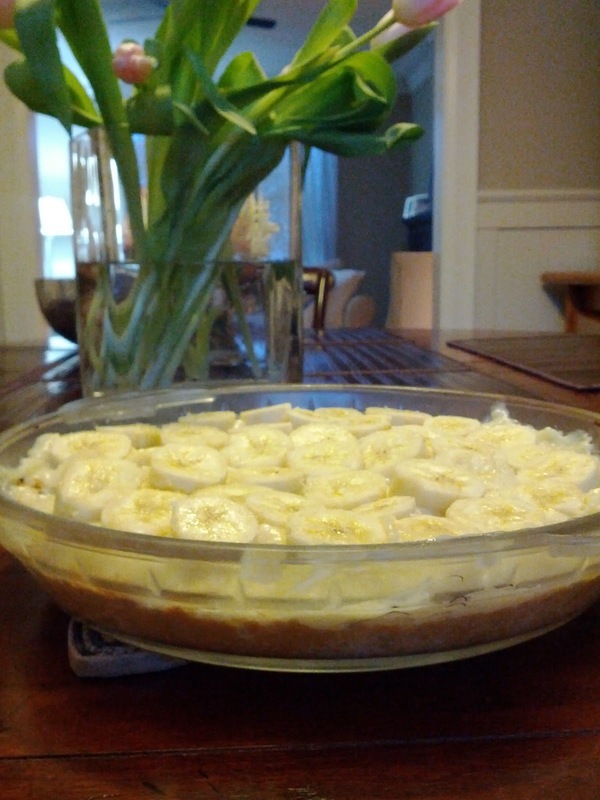 I came across this recipe for Banana Cream Pie and decided to give it a go. This recipe is all about assembly. If you like putting Ikea cabinets together you'll love this. then, the rest of the custard goes on top of that (see step 3 picture above). And finally the whipped cream and the chocolate chips (or shavings) top it all off. With the assembly and the refrigeration needed after almost each step, this recipe took me a good half day. 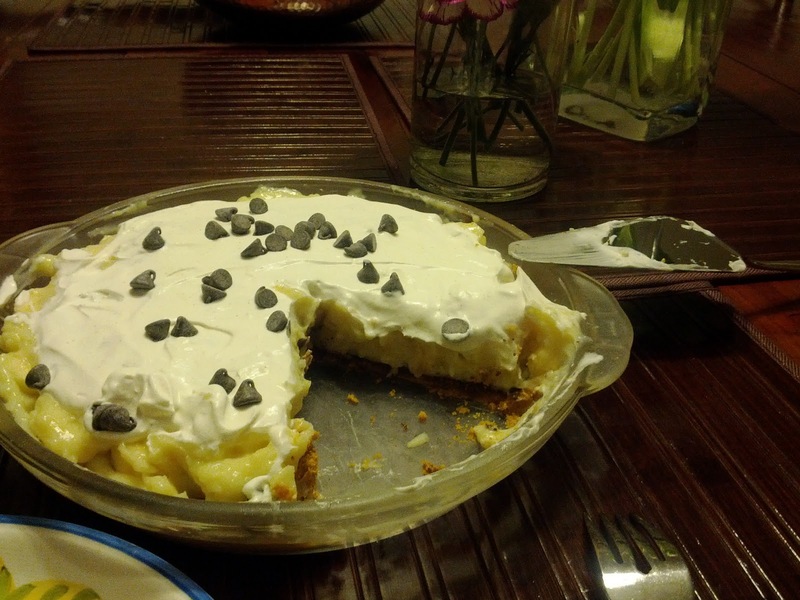 If you like bananas and custard though, this is for you. 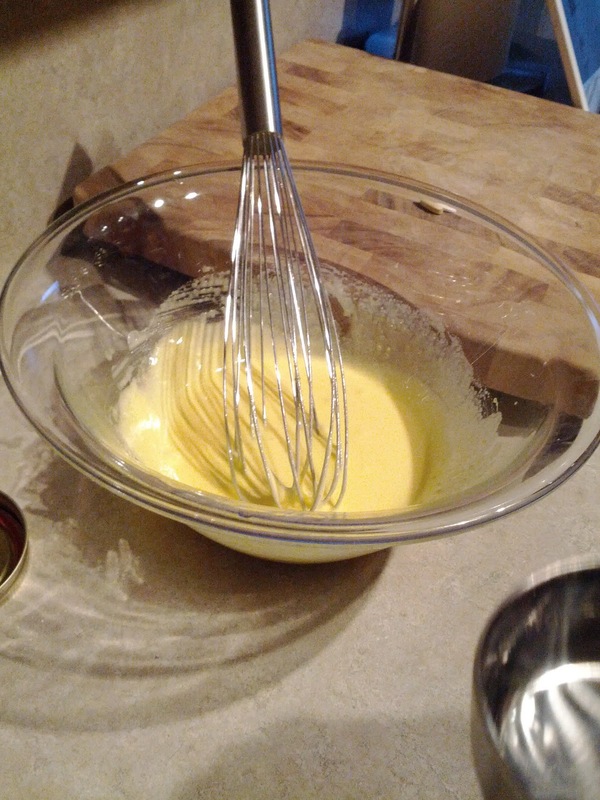 Filling: In bowl, whisk together egg yolks, sugar, cornstarch and 1/2 cup (125 mL) of the milk; set aside. 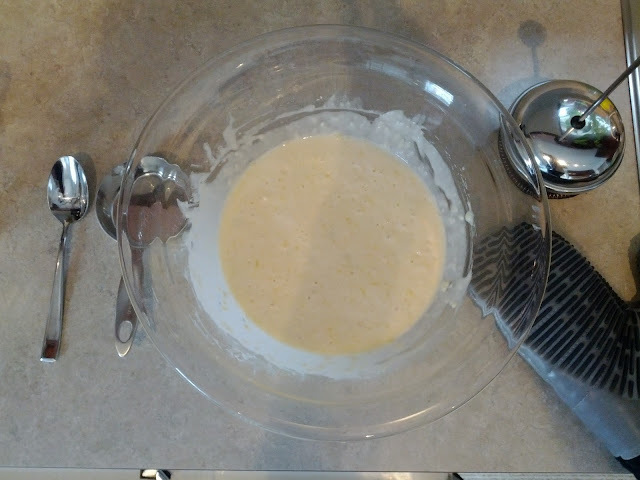 In heavy saucepan, heat remaining milk over medium heat until bubbles form around edge; whisk into yolk mixture. Return to pan and cook over medium-low heat, stirring, until thick enough to mound on spoon, about 5 minutes. Stir in butter and vanilla. Scrape into bowl. Place plastic wrap directly on surface; refrigerate just until cooled, about 2 hours. 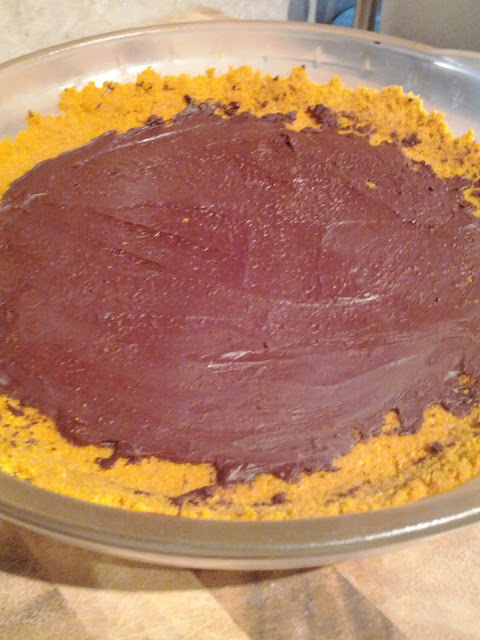 In bowl, stir graham wafer crumbs with butter until moistened; press onto bottom and up side of 9-inch (23 cm) pie plate. 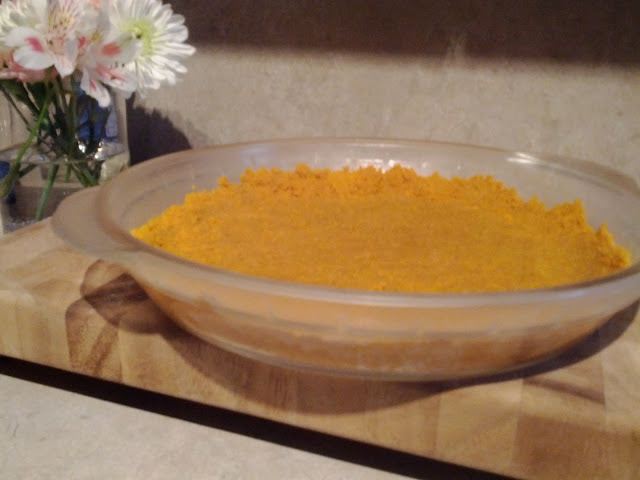 Refrigerate until firm, about 30 minutes. Drizzle melted chocolate over bottom of crust; spread evenly with back of spoon. Refrigerate until set, about 10 minutes. Without stirring custard, spoon half over chocolate. Arrange banana slices over top, overlapping slightly. Top with remaining custard. Place plastic wrap directly on surface; refrigerate until cold, about 2 hours. Garnish: In bowl, whip cream. With spatula, spread to cover top. Sprinkle with grated chocolate (I used chocolate chips). This recipe is not only delicious and so simple to make (it only has 4 ingredients!) it will also make your house smell like chocolate. And who doesn't want that? 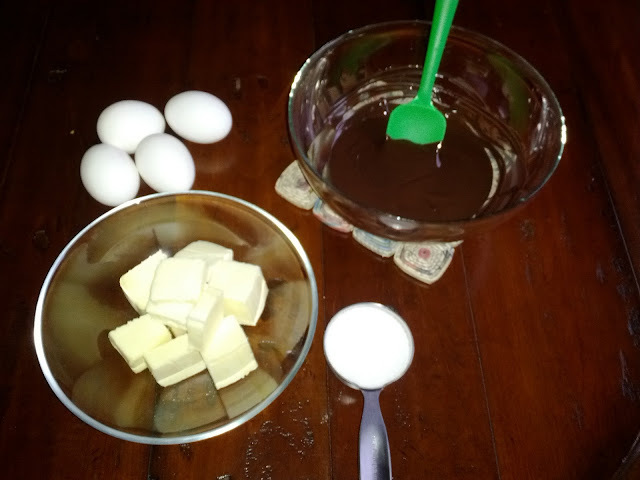 A good thing to do before you fully mix the egg yolk mixture and the chocolate mixture is to temper the eggs. That is, I added a little bit of the chocolate mixture to the egg yolk mixture instead of just dumping the whole lot in. Otherwise you risk cooking the eggs and you don't want that. 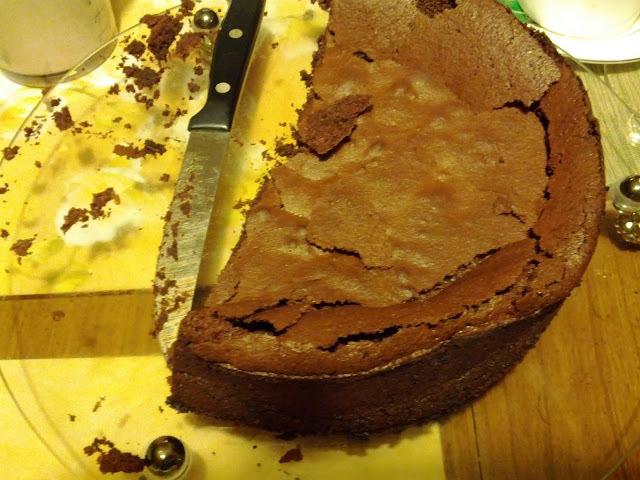 After we baked the cake, we ate it with our friends. We also added some vanilla bean whipped cream and mixed berries. Yum! Note: the cake will look "craggy", but that's just part of it's charm. Enjoy! Heat the oven to 375°F/190°C. Grease a 8-inch/22 cm springform pan. Melt the chocolate over a water bath (I went with medium-low heat), then beat in the butter a piece at a time until smooth. In a separate bowl, beat the yolks with half the sugar until thick, pale, and ribbony. Slowly whisk the chocolate mixture into the yolk mixture (see my note above about tempering). Stir in a spoonful of egg white, then pour the chocolate mixture over the egg whites and gently fold together with a spatula (folding is key because you don't want to lose the air in the eggs). 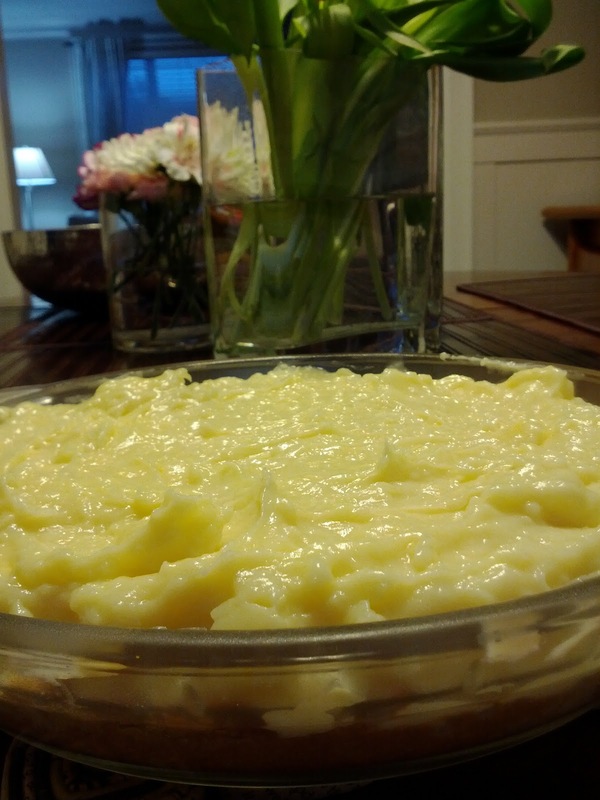 Pour the batter into the prepared pan and bake 50 minutes. Remove from the oven. Run a knife around the outside edge, then let sit until cool. It will sink down and the top will crack, but it's ok. Serve with a big dollop of slightly vanilla bean whipped cream and mixed berries. 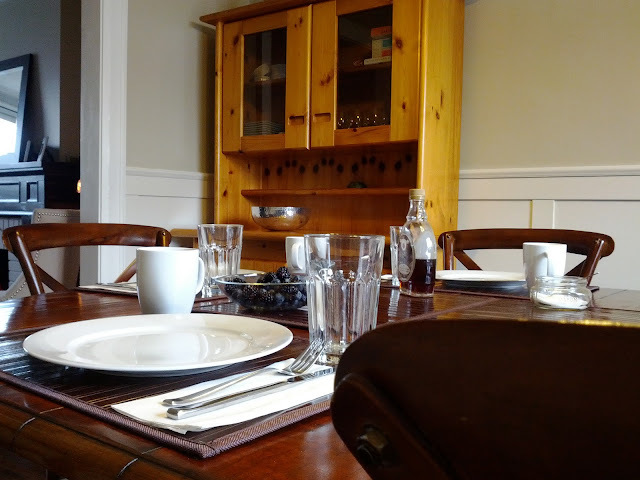 A good friend came over for Sunday breakfast today. She likes pancakes and I made super easy, yet super delicious, chocolate chip pancakes for her on this crisp winter morning. 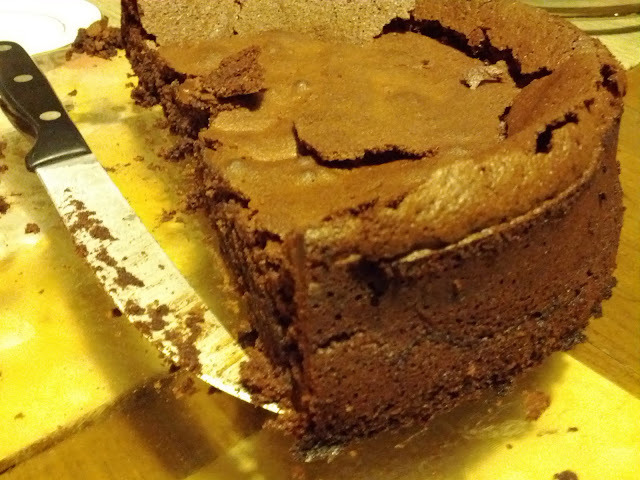 I think this recipe was just as easy to make as the boxed variety, but infinitely more special. In large bowl, whisk together flour, sugar, baking powder and salt. In separate bowl, beat together egg, milk and melted butter or vegetable oil; add to dry ingredients and mix just until lumpy. Add chocolate chips; mix just until incorporated. Heat nonstick skillet over medium heat; brush with vegetable oil. 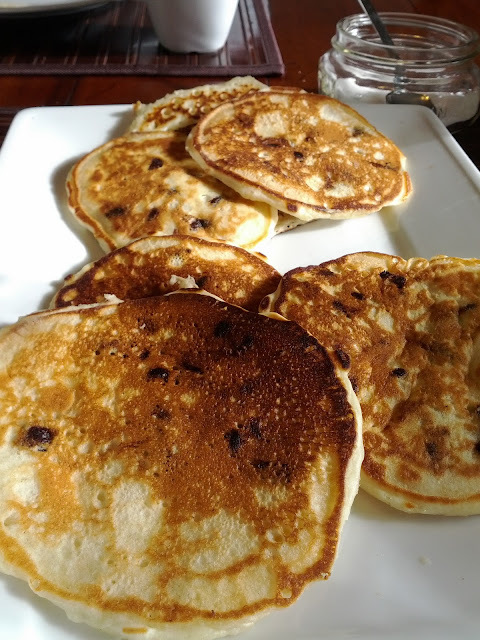 Pour in batter by 1/4 cupfuls (50 mL) for each pancake, spreading with spatula if necessary. Cook for 1-1/2 to 2-1/2 minutes or until underside is golden and bubbles break on top. Turn and cook for 1 to 2 minutes or until underside is golden. Serve hot with berries and whipped cream. Truth be told, I'm waiting to get a camera to post some pretty pictures of the recipes I've tried in the past few days. In the meantime, I'm using my phone camera. Tonight, I prepped my salad for tomorrow. 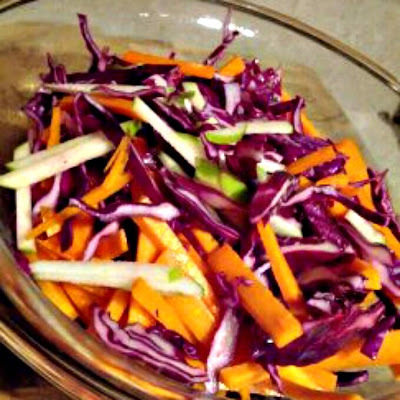 I call it the Party Salad because of all the bright colours and how crunchy it is. But I think that name is a bit misleading because it's actually a super-healthy salad (lots of bright coloured veggies = healthy!). My salad doesn't have the walnuts or the bananas yet, because I don't want the walnuts to get soggy or the bananas to go brown, so I'm adding them in tomorrow right before serving.